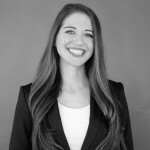 Amanda Ready is a licensed Mental Health Counselor (LMHC) and is a change agent committed to improving the lives of women and their families in poverty-stricken communities worldwide. Ready is the Founder and Executive Director of Ready to Empower, a U.S.-based non-profit making a significant impact on the lives of families around the world. Ready, earned a Master of Science in Mental Health Counseling from Mercy College and a Bachelor of Arts in Counseling from the Baptist College of Florida and holds certificates by the Ackerman Institute for the Family. Amanda is also the author of the children’s book Something’s Wrong at Mason’s Home. Amanda’s extraordinary efforts to improve the lives of others have earned her a 2015 Hero Award for Generosity from Amway, an Unsung Hero Award from the Westchester (NY) Task Force on Child Abuse and Neglect, and a place in the Business Council of Westchester’s 40 Under 40 Rising Stars 2014 rankings. Karen Vasquez provides specialized case management services to low-income women. She advocates for her clients; notifying them of possible housing options, prospective job opportunities and different types of public benefits. In the past, Vasquez has provided women and children with therapeutic services. She has worked with at-risk teenagers and victims of domestic violence. She has also been responsible for training community leaders and developing education programs aimed to improve the overall welfare of society. 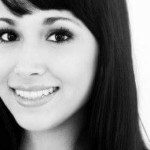 Karen Vasquez is a psychologist with a degree in Psychology. Join our team and help move our Mission forward! 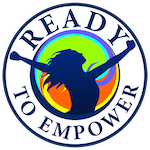 We have many opportunities available at Ready to Empower. Donate today and help the women we serve have a better tomorrow.